Ready to upgrade your ride near Wheaton? When you’re seeking an SUV with a mix of tech-forward features and impressive utility, look no further than the new GMC Acadia. With enough seating for up to seven passengers, there’s enough space for you and the whole family in the Acadia. See what else this formidable midsize SUV has in store for your Warrenville commute when you come down to Villa Park to test a GMC Acadia for sale for yourself. When you’ve browsed our inventory surrounding the GMC Acadia for sale, chosen the Acadia configuration best suited for you, and compared the GMC Acadia vs. GMC Yukon, come down to Villa Park to step into one yourself. We offer new vehicle incentives to also add extra value. 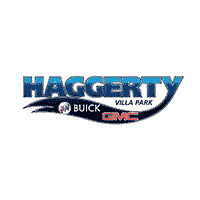 Haggerty Buick GMC is ready to help you on your new vehicle journey, so contact us today with any questions on your next vehicle.